We finally get Victor's story and I liked it! 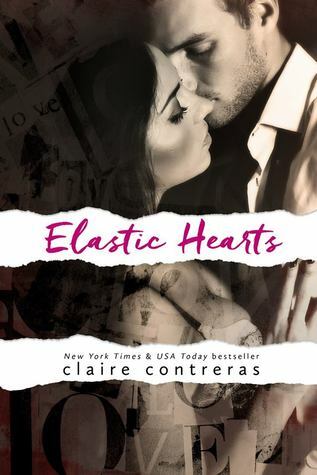 Elastic Hearts is different from the other books. It doesn't have the sweetness of the second-chance romance. In place of that sweetness we got a hot, steamy and light read that is a second chance at romance. Victor is the unattainable bachelor, and he's happy to hold that title. He's not single because he doesn't want a partner, he does. He just has found anyone that was worth it. Victor and Nicole had a very temporary, explosive romance that was stopped after Victor discovers that Nicole’s father is his new boss. Nicole meets the Gabriel and up and coming actor and the rest is history! Fast forward five years Nicole is facing a divorce from her philandering husband. Her father can’t represent her so he picks the next best attorney the one and only Victory Rueben. Sparks fly, rules are broken and true love is found! If you like the other ‘Heart’ books you’ll love Victor and Nicole’s story.